I did my Bachelors degree and Masters degree in theoretical physics and graduated by writing a thesis on the paradox of the age of the universe in theoretical cosmology. The result of my research was published soon in the Journal of Astronomy and Astrophysics. I then worked as a physics lecturer and English teacher for three years before I moved to University College London to complete a Masters degree in analytical philosophy. I then came to Australia to complete my PhD studies in philosophy of science at the University of Sydney. Parallel with my PhD studies, I started my tutoring work at the University of Sydney which continued for five years. 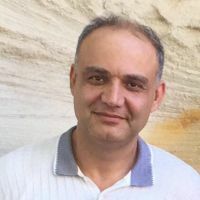 Since my graduation from the University of Sydney in 2012, along with publishing my philosophical research in authentic journals, I have been seriously involved in tutoring maths, physics, and philosophy. Lecturing, teaching and tutoring, especially teaching children, have been my everlasting passions and I have always deeply believed in the power of education in changing people's lives. Plutarch, the famous Greek biographer and essayist once said, “The mind is not a vessel to be filled, but a fire to be kindled.” If, following Plutarch’s words, I can kindle in your mind the passion for learning and the joy to discover for yourself, I have done my job! I can also summarise the purpose of all my research and teaching endeavours in the words of Bertrand Russell, the famous British philosopher:: “I want to bring back into the world of men some little bit of new wisdom.” The wisdom, I believe, can be brought to the world of my students by inspiring them to grow into autonomous thinkers who dare to challenge established ideas and methods. It is my conviction that knowledge and learning are the upshot of dialogue. The Socratic Method has therefore been for me an effective means to realise my teaching ideals. As I teach, I do not just lecture my students. I interact with them and get them to engage in a dialogue with me. Though I always plan my lessons, I prefer the improvised method to the preplanned method. Along with some preliminaries, my lesson plan usually involves questions which encourage my students to think about the contents of the lesson. The feedback I receive from my students on the questions will then lead the lesson one way or another, which is not always predicted in my lesson plan. I am an on-call tutor! My tutoring services include online and telephone (SMS) support and I am happy to respond to your questions and concerns any time during the day. I live in the western suburbs (Canterbury). You are most welcome to meet at my place or if you wish, I can drive to your place or meet at a local library. I am available all weekdays and on the weekend and I am happy to shift around my tutorials to meet you at the time you find the most convenient. I hold a valid working with children’s check and a valid drivers’ licence. I usually charge my students only $60 hour and I often add an extra $10 an hour for advanced or specialised topics or for the travel involved. However, I am never strict about the rate and I leave it negotiable.